through the thick, endlessness of fog. in the pallor of the moonlight. becomes a relic of the night. Zach Chambers is a Savannah based photographer and writer, currently pursuing an undergraduate degree in both fields at the Savannah College of Art and Design. 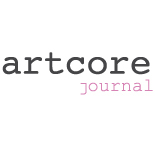 This entry was posted on June 15, 2012 by artcore journal in Volume 1, Issue 1: Northeast and tagged poetry, springstreet.